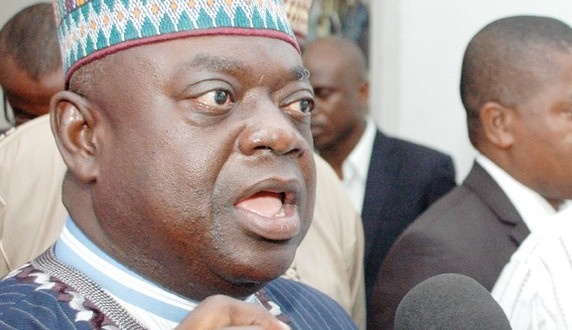 Former Niger State Governor, Babangida Aliyu threatens to go to court to challenge the inclusion of his name in the list of treasury looters released by government. Of course, no one wants to admit being a thief. So, we do not expect that the list of looters as published by the government would be met with smiles by those mentioned. Many have opined that publishing some names by the government is not enough to show Nigerians that they have clean hands and that they are truly fighting corruption, especially when only opposition politicians are in the list. But then, they also agree that the burden still falls on the mentioned persons to prove that they did not steal the people’s money. Former Niger State Governor, Babangida Aliyu is one man who seems willing to go as far as possible to prove that he did not loot the state treasury during his eight-year tenure in the state. How does he intend to do this? He has threatened to challenge the allegation in court. Aliyu made the denial in a statement he signed in Minna on Monday while reacting to the recent release of list of treasury looters in the country by the Federal Government. “I wonder why the federal government should include my name in the 24 treasury looters list released again by the Minister of Information, Alhaji Lai Mohammed,” he said. He threatened to challenge his inclusion on the list to a logical conclusion after consultations with his lawyers. The former governor explained that nobody had confronted him with any document that he received N1.6 billion from the former National Security Adviser (NSA), Col. Sambo Dasuki (rtd) and urged the government to prove it.